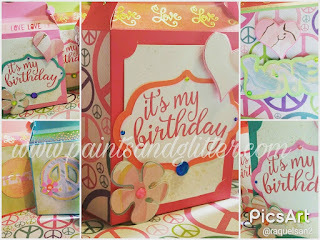 The colors are inspired by the rainbow, and I used vibrant shades throughout. For the Sentiment, I used the Print & Cut feature, which made the final result clean and cohesive. 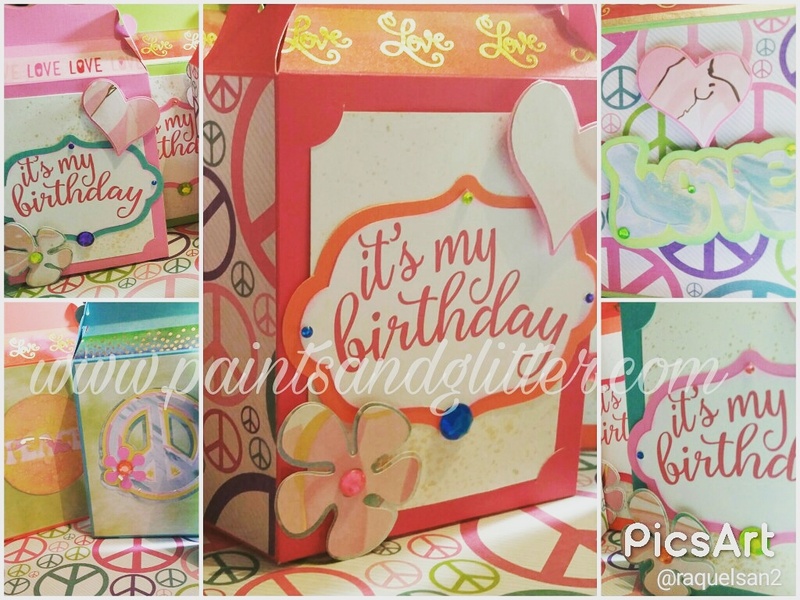 I also used several Die cuts with sentiments that fit the theme, such as LOVE, PEACE, the Peace Symbol, and a Happy Face with Flowers. The entire collection was decked out with bling, gold splashes, and glimmery papers.